By placing an order with FRE Web Solutions, you confirm that you are in agreement with and bound by the terms and conditions below. The Client : The company or individual requesting the services of FRE Web Solutions. 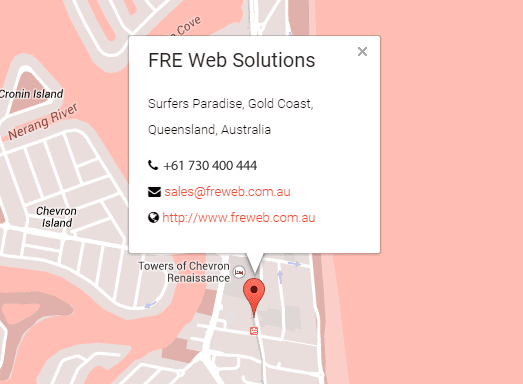 FRE Web Solutions: Primary designer/site owner & employees or affiliates. FRE Web Solutions will carry out work only where an agreement is provided either by email, mail or fax. An ‘order’ is deemed to be a written contract between FRE Web Solutions and the client, this includes email agreements. We run weekly backups of all shared hosting accounts and does not include virtual dedicated server, dedicated servers and or other services. Our backups that are run weekly are a free complimentary service. There is no guarantee on any backups we do! Backups are the FULL responsibility of the customer. FRE Web Solutions will not be held accountable for data loss of any kind. Bandwith an extra services which are limited on some plans are not charged at an extra cost, you may request to have more bandwith implemented by our support team, this may or may not come at a charge and is at the discursion of the FRE Web Solutions staff member. We will not charge you anything for extra bandwith if any without your written permission. Should we be notified of pending legal action or intention to seek legal advice, we may seek written confirmation from you concerning your obligation to indemnify FRE Web Solutions. Failure to provide such confirmation may be considered a breach of this agreement. We cannot be held responsible for any damages your business/operation may suffer. We provide no warranties, expressed or implied, for service we provide. Nor do we guarantee your web site or applications will be error free on our servers. We are not responsible for loss of data resulting from delays, software incompatibility, hardware or software issues, outages, failed deliveries and any service interruption caused by FRE Web Solutions, our employees or our suppliers. It is important for users to contact FRE Web Solutions at least 15 days before the renewal date to request non-renewal, cancellation, make any contract length changes, and upgrades/downgrades, etc. This will avoid double work for the renewal billing department and less confusion for you. Please note that contract length changes cannot be processed after the renewal date has passed. If you know in advance you do not want to renew, You must cancel formally using the client areas “cancel” / “terminate” button under your listed services and accept the terms and conditions to suspend/terminate the service. Phone, email, fax or any other type of communication requests will not constitute acceptance of any cancellation.